Every day you will do an assortment of tasks, each one different from the last. Many of these can be instinctive and simple, such as getting dresses or having a shower. Then they can be more pressing such as travelling to work or preparing meals. Your actual job, whether this is something you are employed to do or is looking after a child or other family member, is you main chore of the day and will take up all your strength and concentration. Balancing all of these things can be tricky and knowing that you have to do everything again the next day can be demoralising. It starts to seem even worse that in between all of this you have to do cleaning. Just because you are busy with other things doesn’t mean that you can leave you abode to get dusty and untidy, meaning you have to devote what little time you have into polishing and organising your goods. The more difficult tasks you face each day can be avoided usually on the weekend when you have free time to relax and do what makes you happy. However, cleaning never goes away and it can feel like that things become messy again as soon as you just finished. You may keep a handle on everything but sometimes it becomes tougher than you would imagine. If you are soon moving to a new home you will find that you have to do all of your regular chores, all of your cleaning and all the things that need to be done for you move. If you know you can’t handle it all get in touch with Cleaners House today on 020 3397 7807 and we can make things simple. You may think that moving to a new abode is something you are ready for and being prepared can make everything straightforward. You may feel that cleaning doesn’t seem important at this point because you are more concerned with getting everything from your current residence to your next one, so it won’t matter if it’s all clean. This is incorrect unfortunately because you need to leave you lodgings spick-and-span for the next tenants. You wouldn’t want to turn up at your new address, ready to start your new life, only to find it dusty, dirty, dishevelled and grimy so why should anyone coming to your abode have the same experience. You will have to dedicate many hours to cleaning your house or you can ask us to do it. We are an expert post occupancy cleaning service who can handle all of your cleaning chores. You be uncertain but as soon as you call we will aim to put you concern to rest. Our operators are standing by and ready to talk to you and they can supply you with all the information you could need, as well as guidance, tips and answers to your questions. If there is anything at all you want to know about cleaning your home or what we can do for you, let us know and we can fill you in on everything. Tell us about your home such as how large it is, what sorts of items and rooms need cleaning and so, because this allows us to customise everything to your specific needs. This is further exemplified when we offer a quote that you don’t have to pay for or commit to until you are ready. The people we send to assist you with your cleaning will be cut above the rest. We only hire skilled, knowledgeable, experienced, certified and trustworthy individuals who can come together to make your home ready for the future. They will know how to properly clean everything and utilise the correct techniques, equipment, and agents. They will commit themselves to the task and work until it is completed. You should have no worry about them being in your home because they will be friendly and treat you, your abode and the job with respect and professionalism. 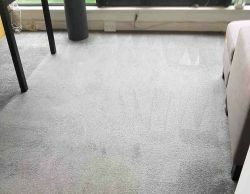 Cleaning home can take a while to do and it can be tougher than you think but our team are ready to undertake anything. We can send as many people as you need and they will all have everything they need to get to work. They will be able to clean floors, carpets, ornaments, electronics, fixings, furniture, and more. Everything will be wiped, polished, sprayed, dusted, vacuumed and sorted, in every room, whether it’s a living room, bedroom, kitchen, bathroom, storage area, garage, attic, basement and more. They will work swiftly and at a time that suits you, so if you want them to work on a weekend when you are present or during the day when you are at work then they can be there. You shouldn’t worry about leaving our team, unattended because they are only focused on the job and proving you with the best service for you money. Our firm is based in the London region and so can help wherever you are. Greater London is in the south-east of England with the current version being established in 1965. It contains the UK’s capital; The City of London and thirty-two boroughs, which include the City of Westminster, Kensington & Chelsea, Wandsworth, Islington, Camden, Richmond, Croydon and Enfield. Its population is around 8,174,000 people and it is very diverse with people from all over the world, especially India and Poland. The district is the most important in the country because it contains Parliament, various Religious centres, top education facilities, Buckingham Palace, various entertainment spots, the best restaurants, museums dedicated to different subjects, art galleries, media hubs, countless homes, each in different styles and different prices and much more. It is twinned with other major regions that centre on capital cities in countries such as China, France, Germany, Japan, Russia and the USA. So if you want your move to be simple and cut down on those challenging cleaning chores, then contact Cleaners House today. Company name: Cleaners House Ltd. 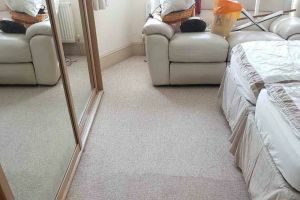 Description: A London domestic cleaning company that offers a variety of services including cleaning furniture, upholstery cleaning, end of tenancy cleaning, rug and carpet cleaning, etc. Copyright © 2009 - 2017 Cleaners House Ltd. All rights reserved.